The structure at left (above) was once a livery stable. I’m not sure as to the functions of the others, but they likely date to the late-19th or early-20th century. 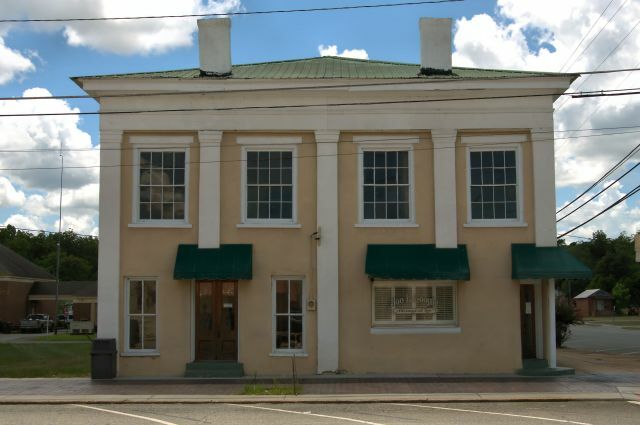 Though best remembered as Taylor’s Pharmacy, this is said to have been the first courthouse constructed in Oglethorpe. 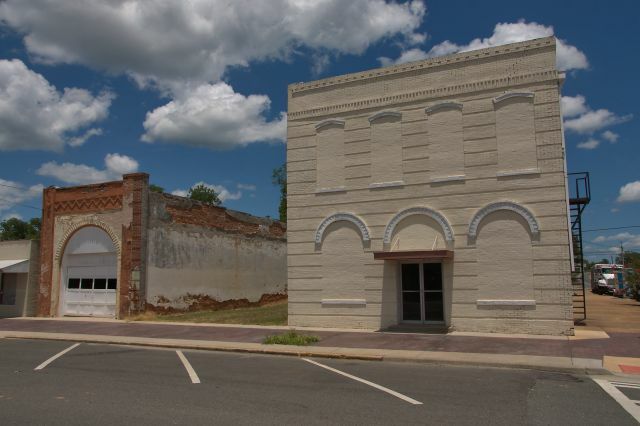 The long lost town of Lanier was the county seat when Macon County was created in 1837 and the courthouse there burned in 1857. Oglethorpe was assuming the status of new county seat at this time and that is when this structure is believed to have been constructed. Colonel George W. Fish was murdered on the west side of the building in 1871 after returning home from business in Macon. The first floor presently serves as the law office of Jon Coogle. [This information needs further documentation, but I believe it to be accurate at this time]. 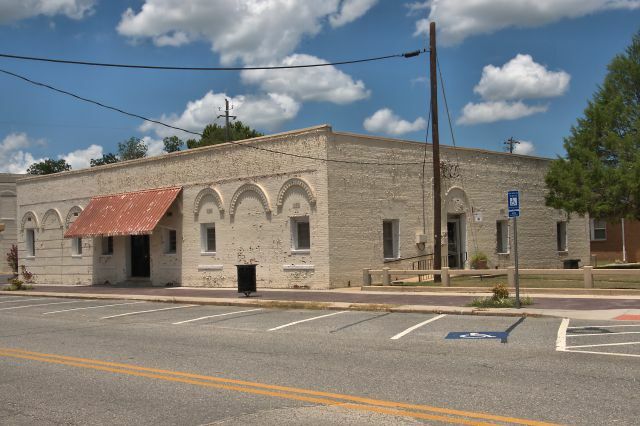 This was originally a Baptist church and was moved from Oglethorpe to its present location. James Duke, Jr., notes that the church was organized in 1852. A memorial to the Reverend James Bradford Smith, placed in the churchyard in 1853, indicates that the congregation worshiped on this same property from its formation. 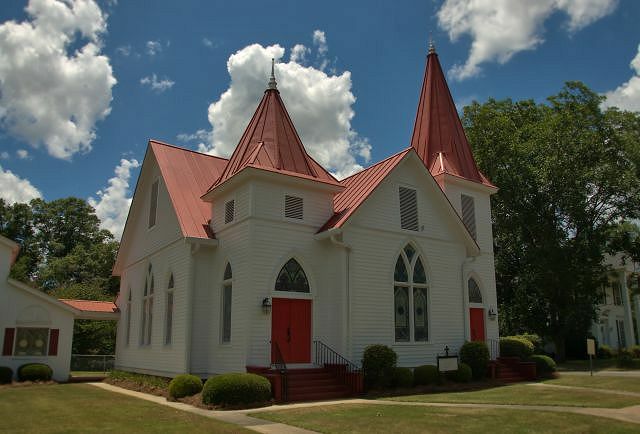 This historic congregation is older than Macon County. From 1827 until the Civil War, Mt. 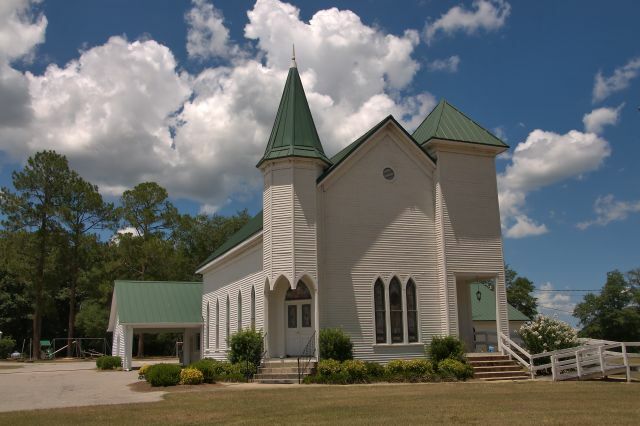 Zion Church built at least three churches, with the first being built about nine miles west of present-day Oglethorpe in the Saint John’s community (known locally today as Cut-Off). 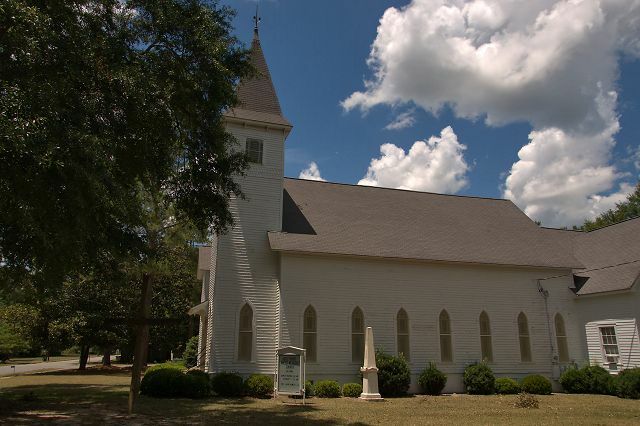 By the early 20th century, there were more Lutherans in Oglethorpe than in the rural section of the county and St. Luke was organized to better serve them. 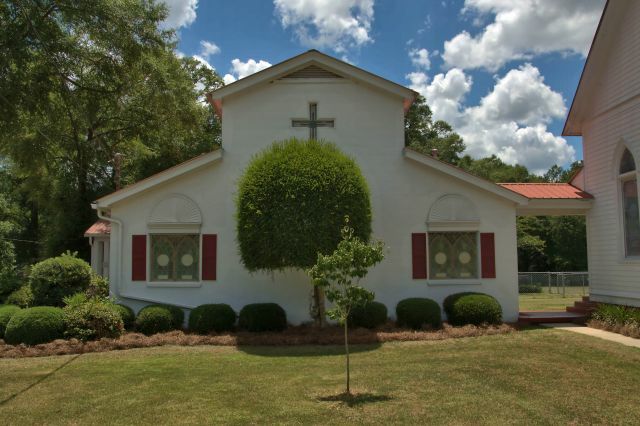 Martin Luther (Luke) Shealy gave the land on which the present church was built and out of respect, the members chose St. Luke as the new name of their congregation. The two congregations merged in 1953. 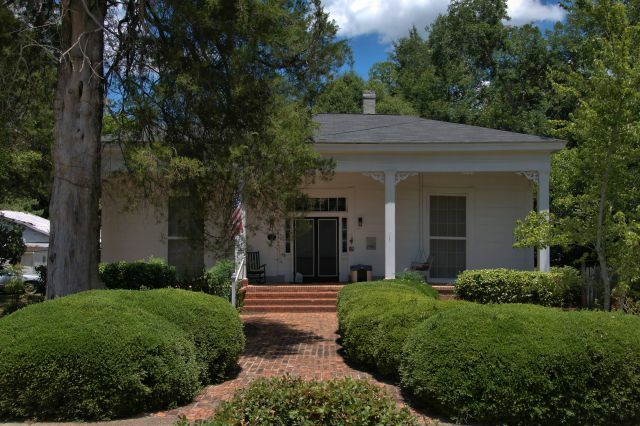 Below is the Parish House, which was rebuilt after the original burned in 1976. 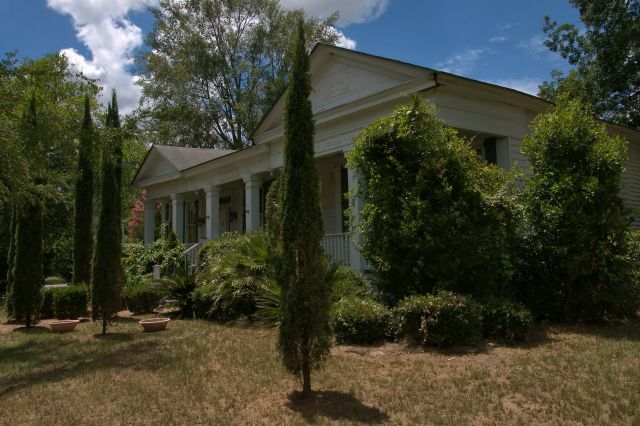 Though I can’t confirm it at this time, I believe this home to be of antebellum construction.